Over the past few days, Houston has watched with a heavy heart the eerily familiar scenes of flooding in south-west Japan. Reports (as of July 12th) reveal that more than 200 have been confirmed dead, dozens are still missing, and survivors remain unable to return to their homes. Japan, we feel your pain in the wake of the devastation caused by historic rainfall. Houston knows all too well that it will take a very long time for communities to rebuild and recover. Victims, volunteers, members of relief organizations and government officials at all levels will be taxed to the limits of their endurance. Accordingly, we hope to provide assistance in areas needing attention. As Japan came to our aid in the aftermath of flooding from Hurricane Harvey with contributions exceeding $50,000, we want to demonstrate Houston's support for Japan. HOUSTON STANDS WITH JAPAN. To this end, the Japan-America Society of Houston (JASH) will be collecting donations through the HOUSTON STANDS WITH JAPAN FUND. See link below. All monies contributed to the campaign will be utilized to support trusted charities that directly serve the people of south-western Japan as to be identified with the assistance of our sister America-Japan Society organizations in Japan. For updates on HOUSTON STANDS WITH JAPAN relief efforts, follow the JASH Facebook page or visit the JASH website. 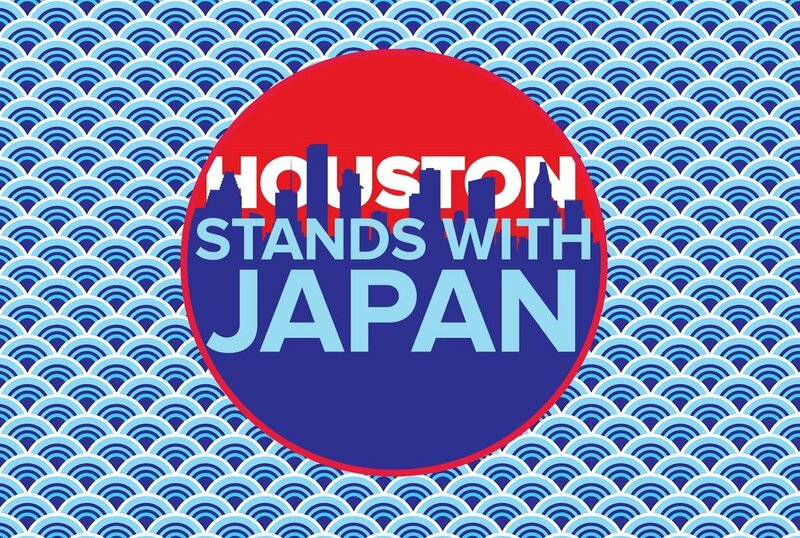 Please share this page with the hashtag #HoustonStandsWithJapan to show your solidarity -- every share helps! To donate using a credit card, click on the link below. To donate via CHECK, use the information below. Japan-America Society of Houston, Inc.